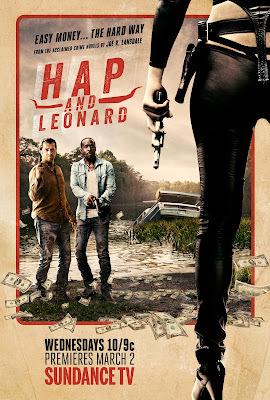 Hap and Leonard is awesome! And I am already addicted. 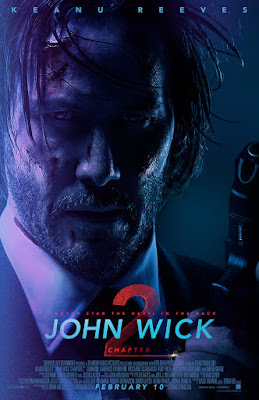 I was not sure about the cast at first, but thus far, they are all amazing. 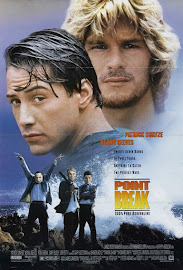 The characters are unexpected, and they are nicely juxtaposed against the southern U.S. in the 80s. Meanwhile, the friendship between Hap and Leonard provides a refreshing representation of straight and gay friendship. The dynamics of Hap and Leonard's friendship and their dialectical politics and sexuality are extremely relevant and rarely represented in the modern era. Along with Rectify, the Sundance channel is finally starting to provide some high quality and groundbreaking entertainment. The first four episodes of Hap and Leonard, at the time of writing this, are streaming free at AMC.com. AMC needs to improve their streaming platform. Nonetheless, it's free, so I can't complain right? Or maybe I should, and they can get to fixing it. What do you think?